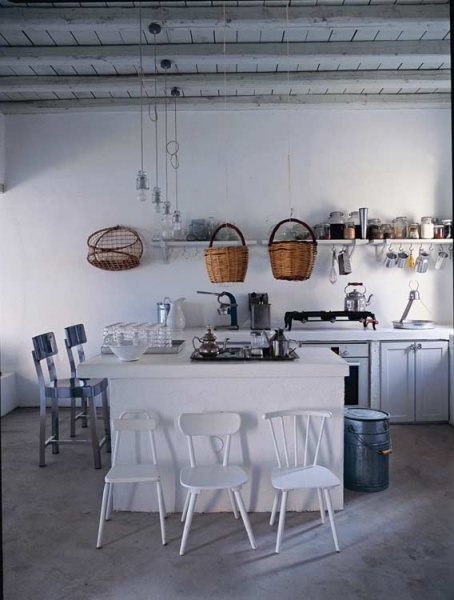 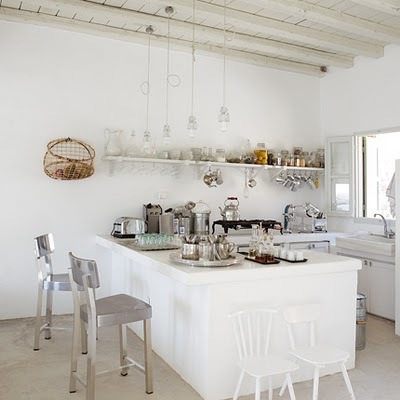 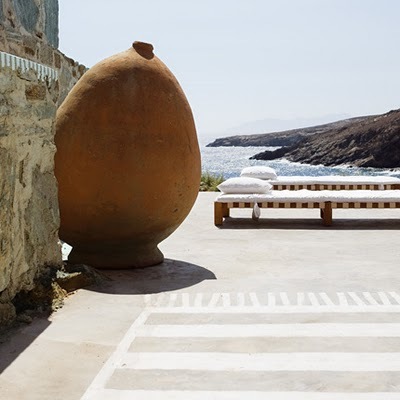 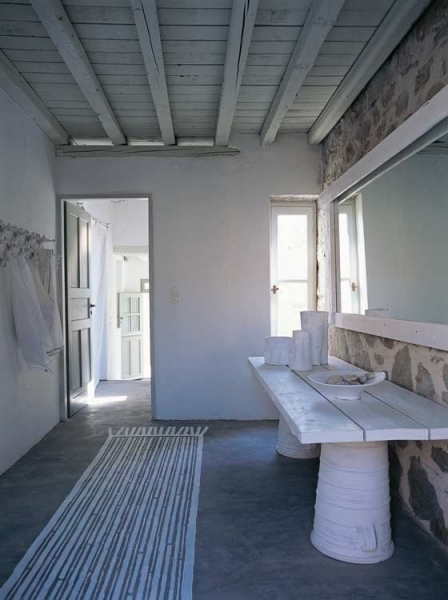 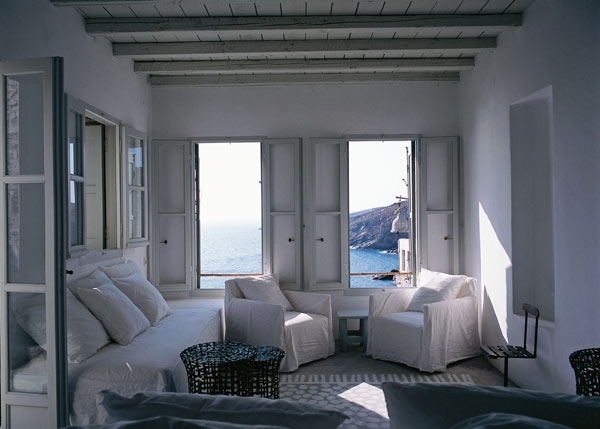 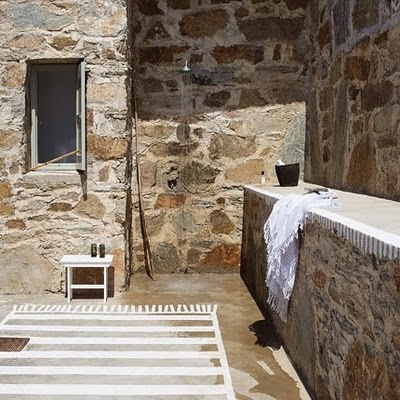 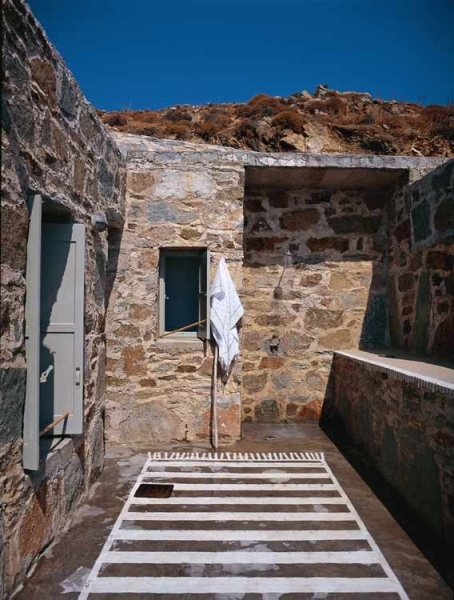 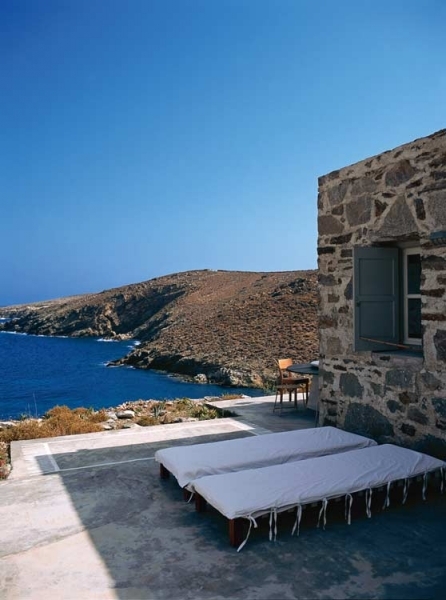 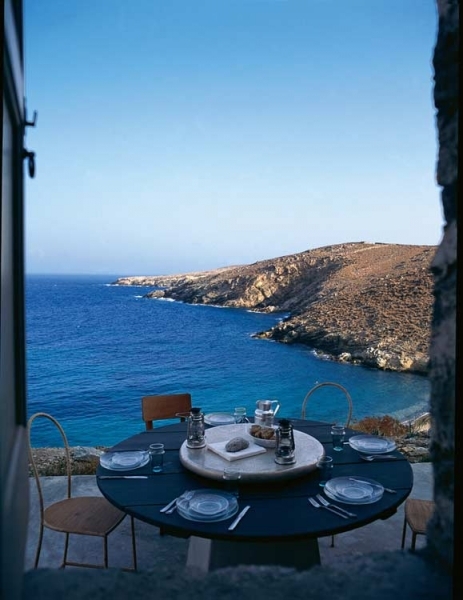 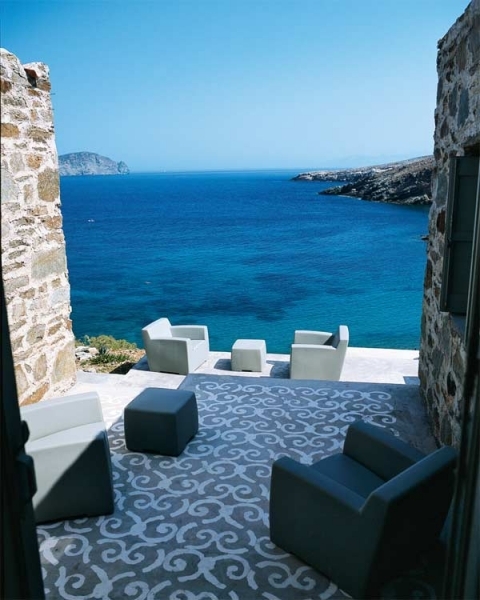 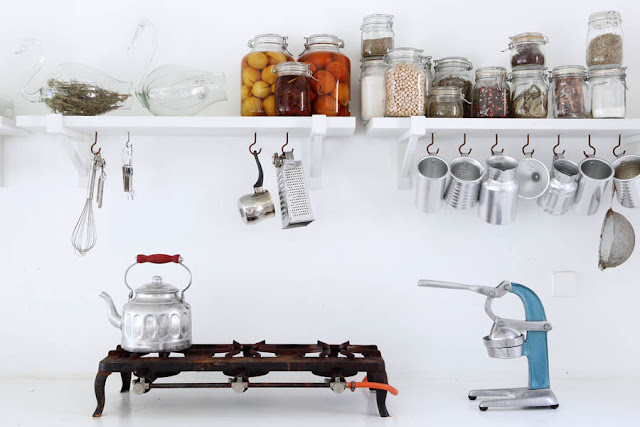 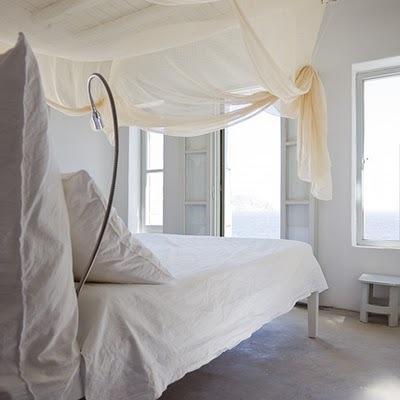 This vacation house in Serifos, one of the Cycladic islands in Greece, is the summer retreat of one of the most original personalities in the world of design, Paola Navone. 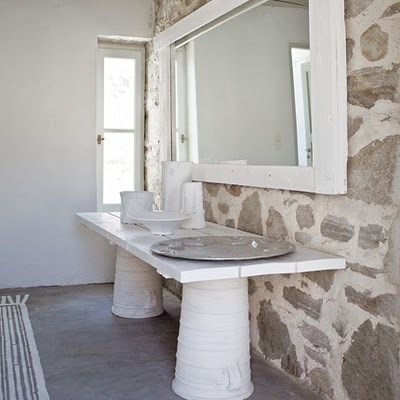 The designer collaborated with architect George Zafiriou in order to create a simple house, comprised of different whitewashed volumes built of stone. 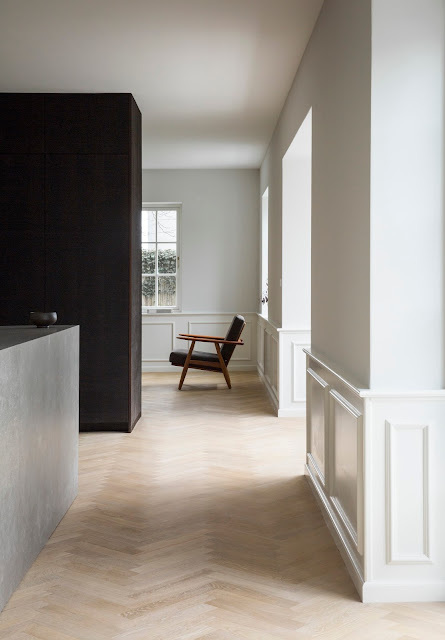 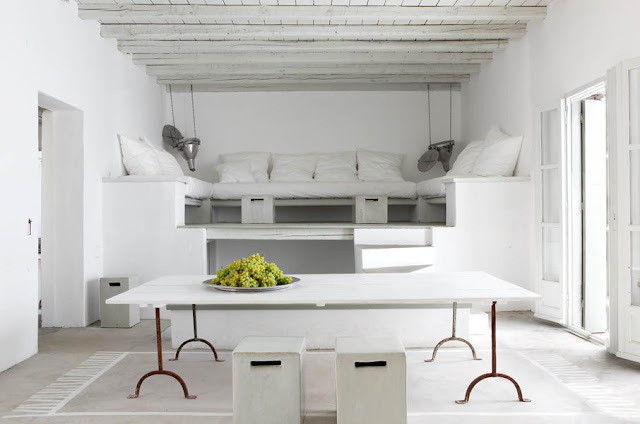 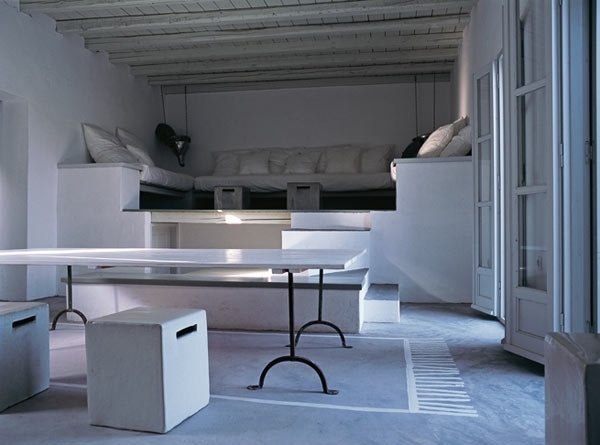 The also white dominated interior focuses on the essentials and absolutely necessary, hosts some prototypes of the designer’s furniture pieces (some of them designed for Gervasoni), a bench in wood, mattresses and chests of linen. 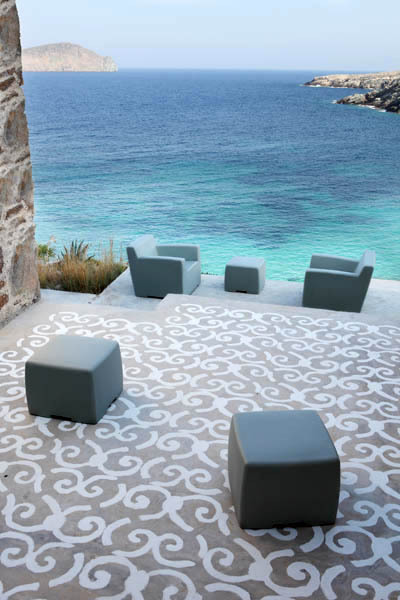 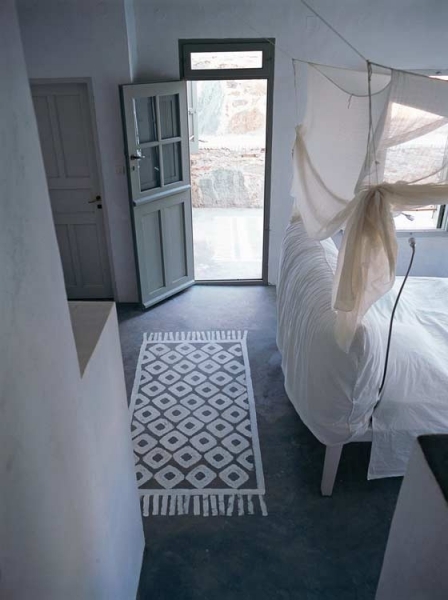 Painted carpets on concrete floors, inspired from the Greek tradition to mark the roads with lime, express the original creativity of the owner, creating a unique decorative feature, graphic and poetic, both indoors and outdoors. 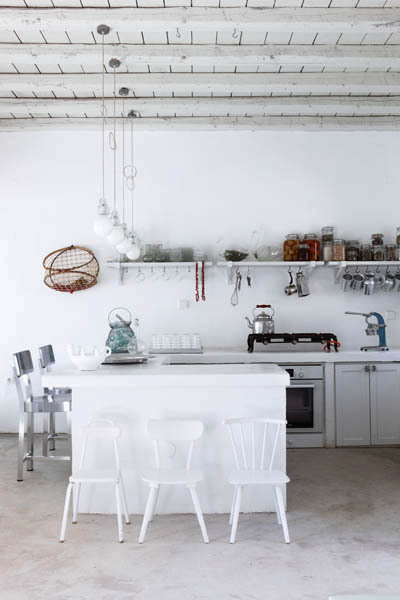 The stunning but simple effect proves that style is anything but a matter of money.